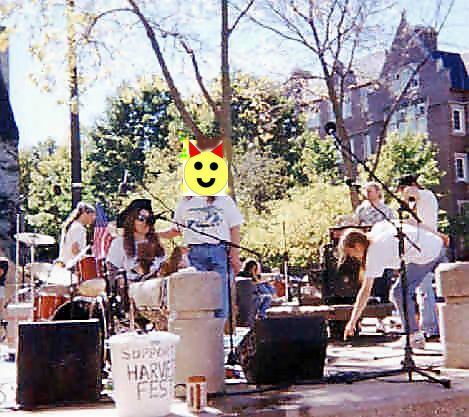 These recently rediscovered pictures of Harvest Fest 1997 in Madison show IMMLY Founder Jacki Rickert speaking at the Library Mall. The Journey for Justice, a 210-mile wheelchair trek from Mondovi to Madison led by Jacki, had arrived in Madison about 2 weeks before the festival. The Journey for Justice kicked off efforts to pass a medical marijuana bill in the 1997-98 session. Marchers arrive from State Street and the Library Mall.